Hardscape Patterns, colors, textures and high style – opposites DO attract! You know those people who say opposites attract? Well they are certainly right if they’re talking about contrast in color, texture and style in the Charlotte area’s most popular and most stylish new hardscapes. 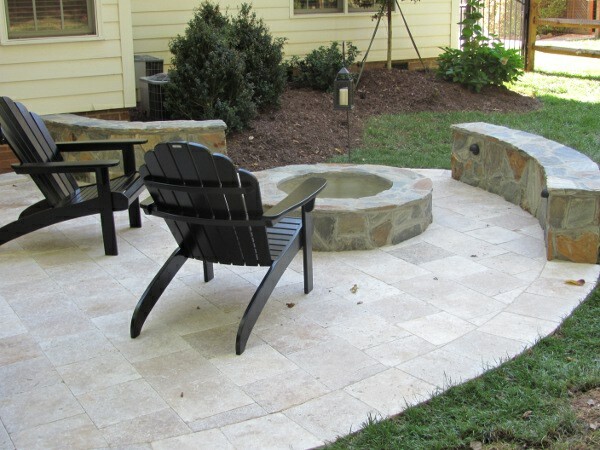 Our customers are looking for distinctive custom hardscape outdoor living areas. 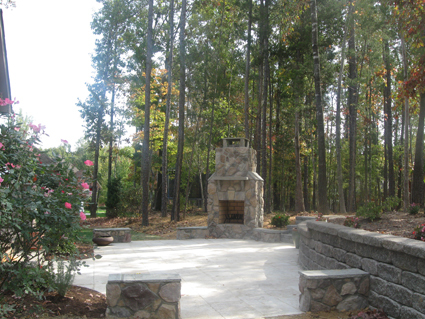 These hardscape areas are often multi-level, have varying shapes, and most often include retaining walls and fire features such as custom fire pits, custom outdoor fireplaces, and even water features. Travertine stone, stacked stone, ledge stone, flagstone. The varying types of stones provide a strong compliment to one another and help to achieve that distinctive custom flavor you’re looking for. One stone we’re building with a lot right now is Travertine stone. You may be familiar with Travertine indoors adorning bathroom walls and kitchen floors. Travertine is also wonderful outside. Travertine tile is made from natural stone. It mixes a very classic style with a warm and rustic look. It has an aged look and old world charm. Here in the Carolinas, there are some other popular stones including stacked stone and ledge stone. These stones are best used for building walls such as retaining walls, outdoor fireplace walls, and other custom features. Many of today’s custom patios are curvilinear meaning they do not follow a straight path and cannot be categorized by the name of any geometric shape. 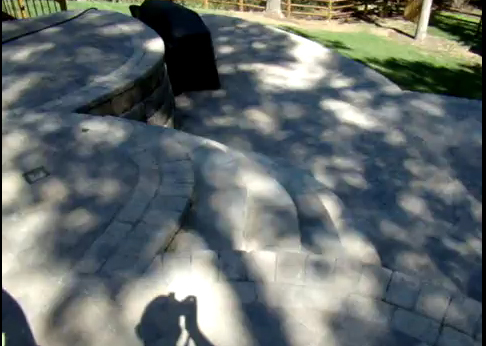 Often curvilinear designs will feature undulating retaining walls that work in harmony with softscaping. Or, they may have concentric circles either in stairs, patio levels or both. Rectilinear hardscapes often include concentric rectangular patterns such as rectangular stairs attached to an upper patio level or to the home. Rectilinear designs are more interesting and they introduce a new substrate. 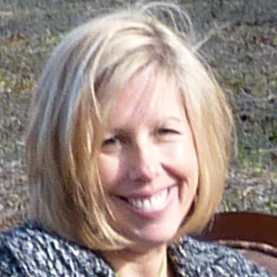 Robin Steele is a guest blogger from the Archadeck corporate blog. 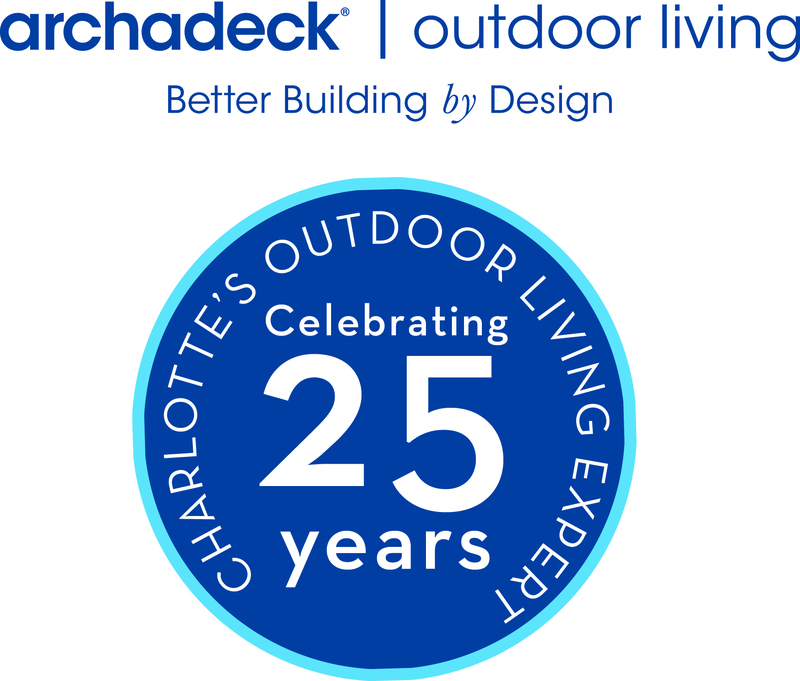 Call us for a free consultation at (704) 944 – 1350 or email us at charlotte@archadeck.net. Feel free to stop by our showroom at 2311 Village Lake Drive in Charlotte. Our showroom includes both an indoor and outdoor showroom. Our indoor showroom includes kitchen and bathroom remodeling showcases. Our outdoor showroom includes hardscapes, custom fire features, deck samples, a screen porch and so much more. 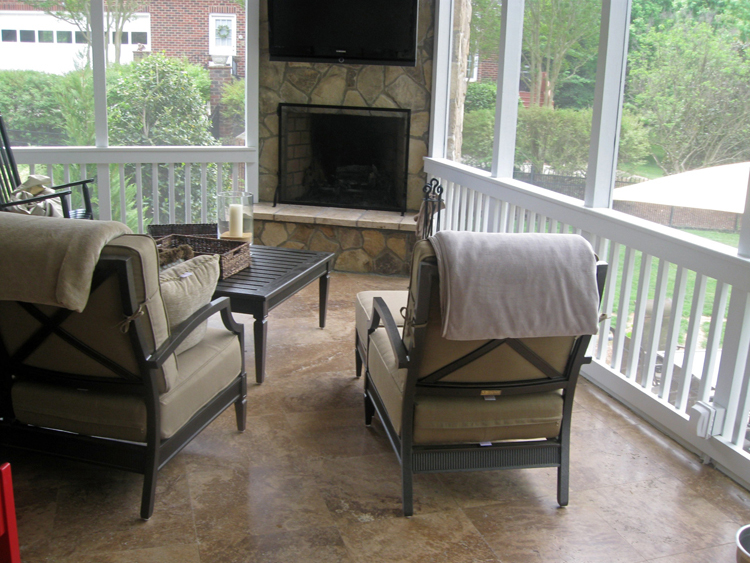 Click here to visit our Archadeck of Charlotte website to see more pictures. Thinking about some interior remodeling or need some handyman work around your house? We have a full service handyman and remodeling service – Value Remodelers. Check out our website. ← Archadeck takes Royal Caribbean’s Monarch of the Seas cruise!